I can’t believe it is Wednesday already. Where is the time going? I just want to take a moment to say a HUGE thank you to everyone for all the birthday wishes yesterday. I felt really special. I had such a fabulous day and was so spoilt by my husband too. He really is the greatest! 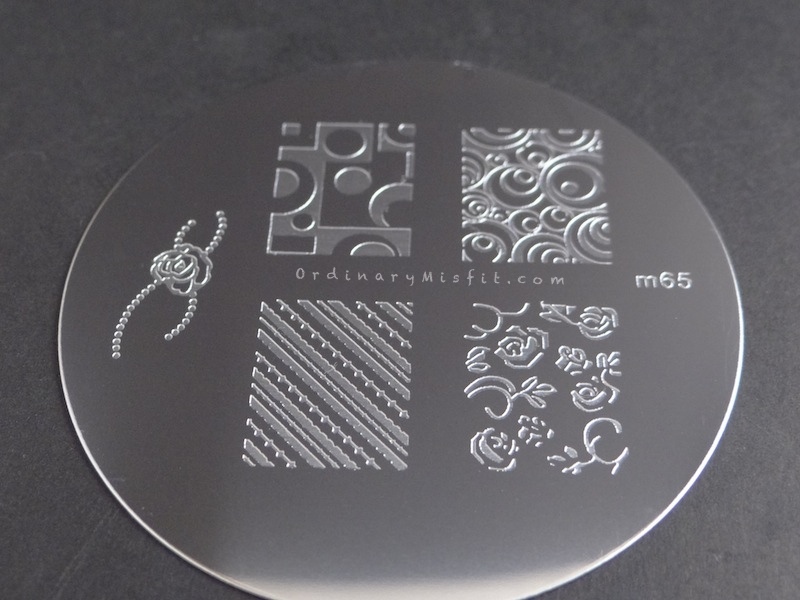 In my last Born Pretty Store order I got a few stamping plates and a set of stamping polishes. I thought I would show you the plates and the polishes together so this post might be a bit photo heavy. That being said, let me get right into it. The stamping polishes I got was a set of 5 mini bottles. A red, a blue, a yellow, a black and a white. You can find them here. The geometric image on the top left is what really drew me to this plate. 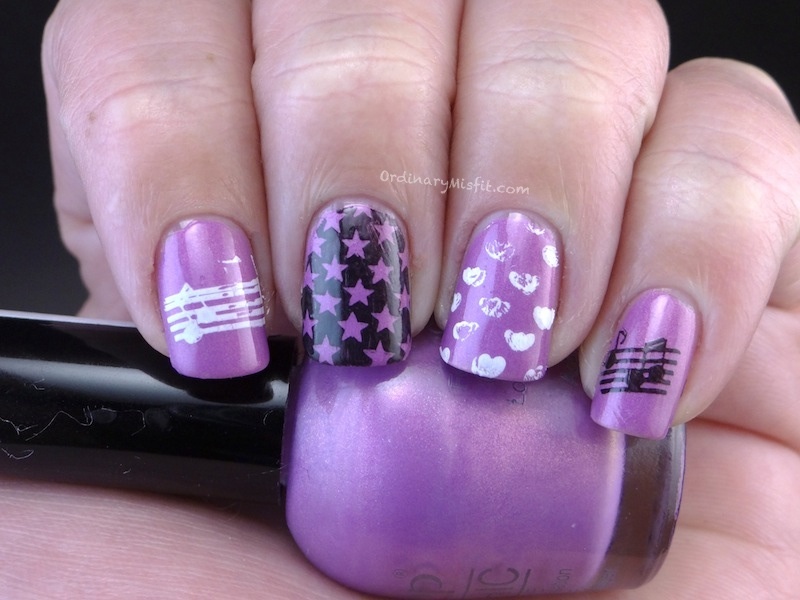 I decided to use 4 of the 5 stamping polishes to do one of each of the full images. 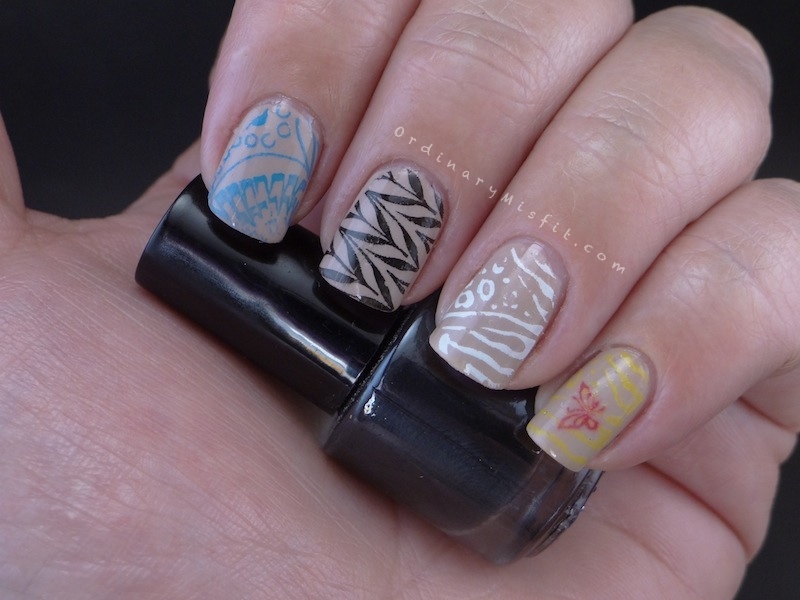 I used two coats of Essence – 1000 Miles as a base colour and used the colours in order of blue, white, black and yellow to do the stamping. I am going to show the photos of the stamping polishes but I will talk about the actual stamping polishes right at the end. So, here we go. Like I said I will talk about the polishes in a little while. It’s obvious there were a few issues so make sure it was easier to see the images I use 2 coats of Tip Top – Surfer Girl and I stamped in my usual Essence black and white stampy polishes AND the black and white from the abovementioned stamping polish set. On my pinky and ring finger I stamped using the Essence stampy polishes and on my middle and index finger I used the Born Pretty Store polishes. Onto the plate. I found this plate to be reasonable. It isn’t as deep as some of my other plates but it is certainly deep enough to work. I also liked the images and even though they were a little smaller than some of my other plates, they were still big enough to cover my complete nail. I really had no issue with the size, I just had to make sure I lined it up close to the edges. All in all this plate wasn’t bad. I was really drawn to this plate. Isn’t it gorgeous? With this one I used all 5 of the stamping polishes. Again I used Essence – 1000 miles as a base colour and I used the stamping polishes in order of blue, black, white, yellow and the red on top of the yellow. Next up is the Essence stampy polishes in black and white and the Born Pretty Store black in white polishes over Tip Top – Surfer Girl. Here I’ve got the Essence polishes on my pinky and ring finger and the BPS polishes on my middle and index finger. I found this plate to be reasonable as well. It stamped well and the size was fine. Just like the previous one, it wasn’t as big as some of my other plates but plenty big enough to cover my whole nail. A good plate with good images. This was my favourite plate of them all. Not only are the images super cute but they are also a bit bigger and a bit deeper. I started off with a base colour of Essence – 1000 Miles again. 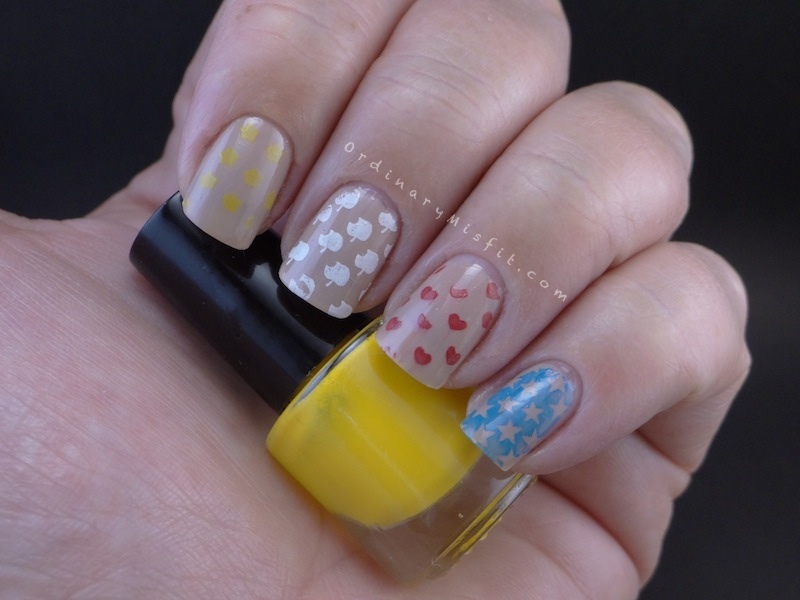 I used the stamping polishes in order Yellow, white, red and blue. Here it is stamped over two coats of Tip Top – Surfer Girl stamped with Essence stampy polishes and the black and white polish from this set. Here I have Essence stampy polishes in black and white on my pinky and ring finger and the BPS polishes in black and white. I must add here that the outcome of my ring finger is part my fault. This was by far my favourite plate. The images are nice and deep. They are also a bit bigger than the other plates. I have a suspicion that these shaped plates are going to be winners! I so badly wanted to love this plate. I love the images but I just had the hardest time with this plate. I could sort of get the top left (blocks) and bottom left (swirls) to work but it took a good few tries and to be honest, it’s not worth it for me. So I couldn’t even show you any of these because I couldn’t consistently get them transferred. 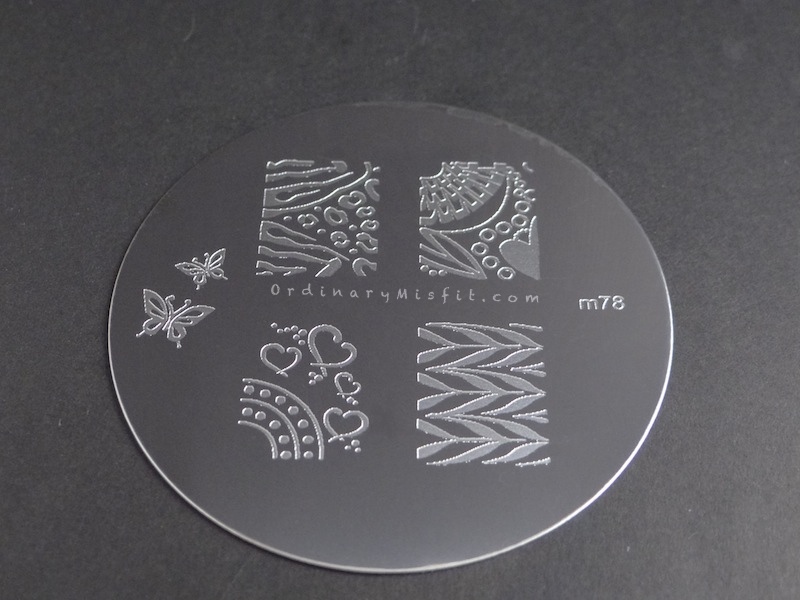 It could just be MY plate or it could just be a bad stamping day (hah, unlikely :P) and I will definitely keep trying. If I do have better results I will definitely update. Ok, so let’s talk about the stamping polishes. I was really excited to get these polishes especially the blue, red and yellow. Of course I have a few other polishes that stamp really well but having dedicated stamping polish would be nice. Also, I really wanted to compare if they were so much better than the normal polishes I have used before. You can see on all the images above that all the polishes stamped. So I guess they do their job. I think they are a little inconsistent because on one round the blue – for example – would stamp really well but the next time it would have a few bald patches. All in all they were ok. I don’t regret getting them even though I might have a few other polishes that stamp as well as these. I have a few complaints. The first one was that the yellow wasn’t a very bright. For instance, I am not sure if the yellow would show if I stamped it over a darker colour. The red and blue are definitely better but I am still torn about if it will be crisp. The second thing is that these polishes – the white in particular – dried so fast that by the time I come to transferring to my nail it was almost completely dry already. I had to move quite a bit faster than with other polishes. The white one was the worst! Other than that I thought they were quite ok. I don’t think the colours are as clear and crisp as some other polishes but they work. I know this was a bit of a random post but I hope it helps you if you were wondering or interested in any of these products. Have you bought anything from Born Pretty Store? 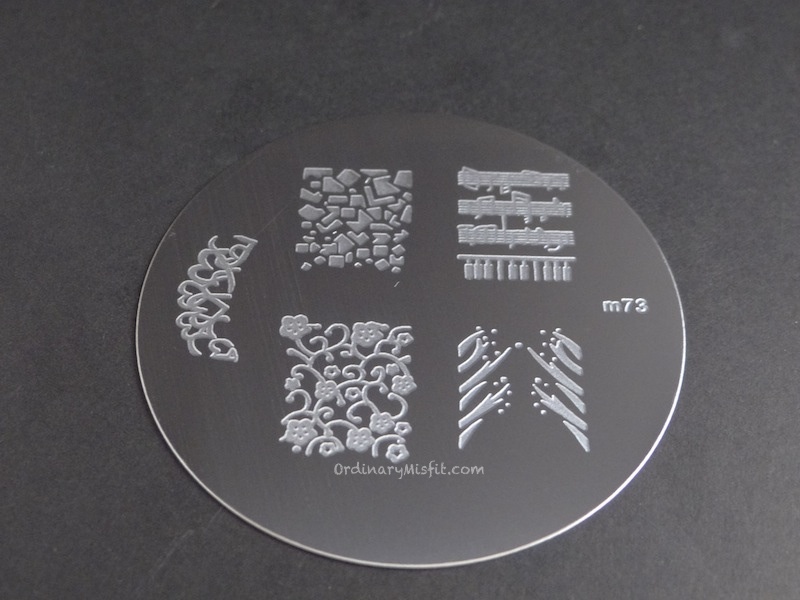 Have you got any of these – or other – plates? Aaaaaaah! Shhhhh! Don’t say things like that! Now now all the Essence stamping polishes get’s taken away *grabs note book and writes* “Must buy 10 of each Essence stamping polish month end…just in case…” Lol nah, love the post M! Especially since I do have my eye on that BPS Transformers plate! Thanks T!! I was very torn about giving away too much about the essence stampy polish goodness. I heard a rumour that they will be discontinued but I hope it simply means they will be replaced with others? Like maybe just a bottle or logo change. I sure hope so. Actually I hope the rumour was wrong!! 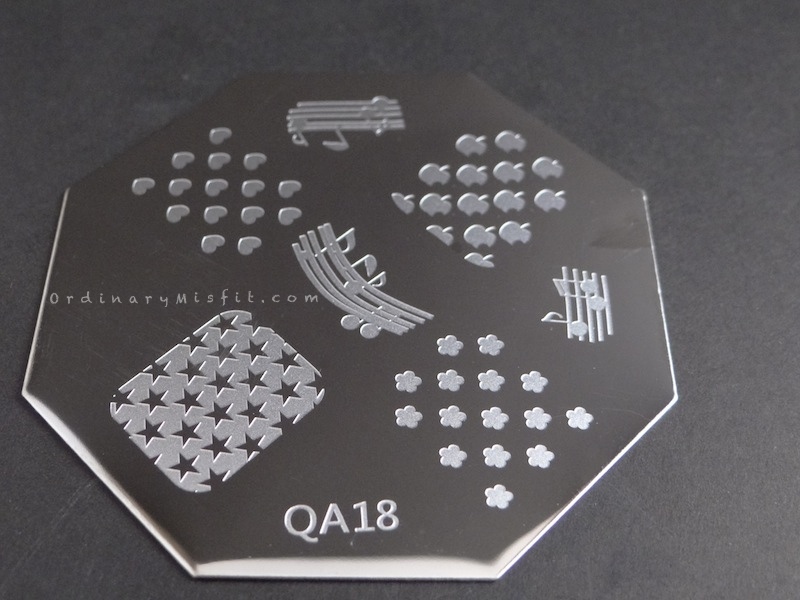 Ok, I finally cracked… Soon I too shall have pretty stamping polishes and holo polishes and born pretty store things!!! HAHAHAHAHA Kerry!!!! I can’t wait to see all the goodies you get. It’s quite addictive I must say. They just have too many pretties. Ack! I am sorry that I missed sending you happy birthday wishes! Please accept them a day belated! My favorite plate is also your favorite plate. I like the apple print! I’ve only bought glequins from the Born Pretty Store. I don’t really let myself on there because I could spend A LOT of time and money shopping! Aw thanks so much Lesley. So appreciated. Ahh thank you so much my friend. You should definitely come play! Love you more! liked the post – very resourceful! Thank you so much! Yes I also bought a plate previously that was so small that it wouldn’t even fit on my pinky. I was so sad but I just gave it away to a friends young daughter.